Even with all the modern technology that simplifies people’s lives, Americans agree that there are simply not enough hours during the day. Everybody, from the soccer mom to the high-powered business executive, sacrifices hours of sleep in order to complete the long to-do lists. Healthcare professionals have been advising for years that adults should get 7 to 8 hours of uninterrupted sleep. Lack of sleep has been implicated in causing a cascade of events in a person’s body. Diseases like depression, anxiety, high blood pressure, and even cancer have been brought on or, at the very least, exacerbated by a lack of sleep. Lack of sleep causes stress. Stress can age a person’s body faster and this leads to health complications and even death. There are different strategies to combat sleep deprivation. Lack of sleep brought on by simply not having enough hours to devote to sleep can be rectified by streamlining some work. If you don’t take care of your mind and body, you will not be as productive at work. In places like Japan, companies encourage workers to take a nap. Latin America is known for adhering to the sacred siesta. Foreign companies, which encourage this practice, discovered what clinicians have known for years, that overextending yourself simply decreases your productivity. A short cat nap of 20 to 30 minutes during the day is extremely beneficial. Now, America is not known for encouraging this wonderful practice. In fact, American workers are almost encouraged to do the exact opposite, and that is to work themselves to complete exhaustion while consuming caffeinated-sugary drinks to stay productive. Overachievers often brag about how little sleep they are getting, and managers reward those who overextend themselves. Changing the culture will not happen overnight, but making the conscious choice to sleep more hours will not decrease productivity. In fact, a project that might take you 2 hours to complete while sleep deprived, might be finished in less than an hour with a well rested mind and body. Another cause of sleep deprivation is insomnia. The person has enough hours in the day to sleep, but the worries and stressors of life keep them from a deep slumber. Use of pharmaceuticals should be the last resort. First, sleep hygiene should be practiced, and this simply means keeping the area devoted for sleep free of any distractions. This includes phones, notebooks, computers, televisions…etc. Many people sleep near their cell phone, but it has been proven that radiation from cell phones reduces both the quality and quantity of sleep. Some people have trouble sleeping due to a snoring partner, or a young neighbor who recently took up the trombone. There is a wonderful product in the market called SleepPhones®, advertised as pajamas for your ears from a company called AcousticSheep. It looks like a headband and it’s made from a very soft material. The headphones are flat so you will not experience any pain if you are a side sleeper. You simply connect it to any device that plays music. You can download your favorite tunes, or even tracks that play white noise like crashing waves or thunderstorms. 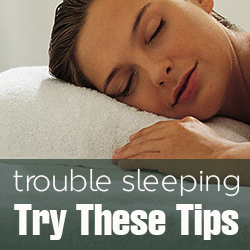 Another method to combat insomnia is by using natural products. Melatonin is a natural hormone that regulates sleep, and it is secreted by a gland in the brain when it is dark. This is why healthcare providers discourage the use of a night light for both children and adults. Sleeping in total darkness brings the most restorative sleep. Melatonin can also be bought in pill form. A typical dose of melatonin is 2 to 5 milligrams at bedtime. Another natural product for insomnia is called Lemon Balm Leaf. The Latin name of the plant is Melissa officinalis, and the typical dose is 50 drops in a small amount of water to be taken before bed. Certain medications can affect the sleep-wake cycle through various mechanisms. An example is a class of medications called diuretics that are typically taken by people who have high blood pressure. One common diuretic is called hydrochlorothiazide, and one of the side effects is increased urination. This medication should be taken in the morning or the person will spend all night making frequent trips to the bathroom. Fluoxetine, which is a medication used to treat depression, should be taken in the morning before noon. Stimulants used for attention deficit hyperactivity disorder, like dextroamphetamine or methamphetamine, should be taken during the day as well. There are many more examples of medications that can contribute to insomnia so it is important to ask your provider about side effects. 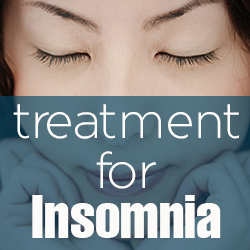 In the case that nothing brings the desired slumber, there are many prescription medications used in the treatment of insomnia. Temazepam is a common one that is well tolerated by folks who are elderly. 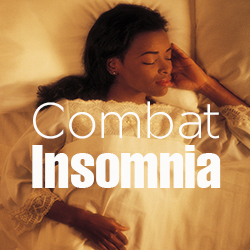 Zolpidem is used by many, but there are reports of complex sleep behaviors. For example, a person getting up in the middle of the night and performing tasks with no subsequent memory of the event. Trazodone is another medication well tolerated for sleep. Also, there are non prescription medications used for sleep. The most common one is diphenhydramine. It is found in many different products that combine a pain reliever with a sleep medication. This medication should not be taken for more than a few days. Over-the-counter drugs should be taken with extreme caution, and this is especially true when taking prescription drugs that may interact. 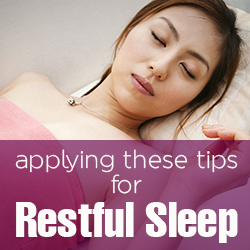 By applying these tips, you will start on a path to healthier living through restful sleep. Talk to your doctor or pharmacist about your medications and if they can be contributing to your lack of sleep, and always ask if an over-the-counter medication interacts with your current medications before taking it.